The private estate "At Misha and Vera" is located at the beginning of the village of Pilipets. 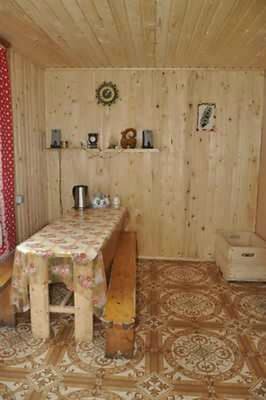 The clients are offered accommodation in a cozy 2-storey house, the interior of which fully corresponds to the Carpathian style. In the estate you can stay in 6 comfortable rooms, equipped with everything you need for a good time. 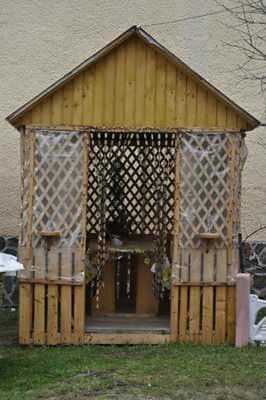 On the furnished territory there is a gazebo and a grill where you can cook shish kebab. 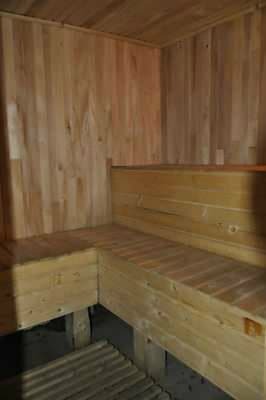 There is a sauna with a swimming pool. It is possible to organize a transfer. 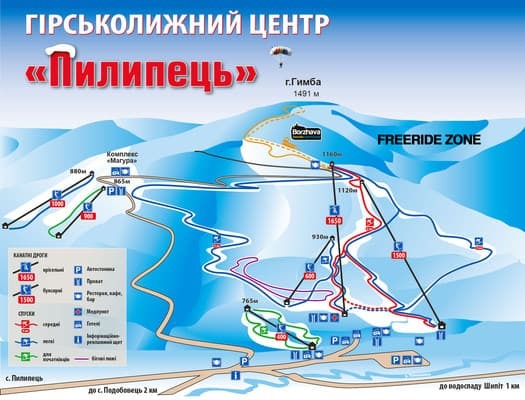 To the nearest ski lift to Gimba - 1 km. PRICES MAY CHANGE, IT IS REQUIRED TO RECEIVE INFORMATION FROM THE OPERATOR. Description of the room: ATTENTION! IN THE PERIOD FROM 28.12.15 TO 10.01.15 THE MINIMUM TERM OF THE ORDER 5 DAYS. 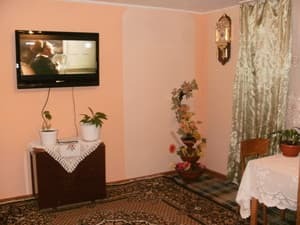 Cozy 1-room apartment, which has everything you need for a comfortable stay: a double bed or a sofa bed, a wardrobe, satellite TV, a bathroom on the floor. There is an opportunity to use the kitchen. The room rate includes 2 meals a day. Description of the room: ATTENTION! IN THE PERIOD FROM 28.12.15 TO 10.01.15 THE MINIMUM TERM OF THE ORDER 5 DAYS. 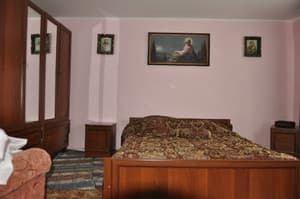 Cozy 1-room suite, which has everything you need for a comfortable stay: a double bed and a sofa, a wardrobe, satellite TV, a bedside table, a bathroom on the floor. There is an opportunity to use the kitchen. The room rate includes 2 meals a day. Общительные, приятные не навязчивые хозяева. В стоимость проживания включено 2х разовое питание, кухня отличная, всегда переспрашивали подойдет ли нам то или иное блюдо и удобное время для приема пищи. Фото на сайте устаревшие, по факту абсолютно новый дом с чистыми уютными комнатами. Есть баня, каминный зал, мангалы, беседка, качеля. Рядом два магазина. Также есть номера с удобствами. Accommodation of children under 12 years old - 50% of the cost. 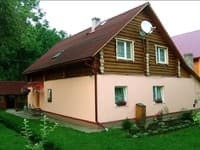 The private estate is located at the beginning of the village of Pilipets, 15 km from the village of Volovets, 5 km to the Shipot waterfall, 1 km to the nearest ski lift to the town of Gimba. Trains Uzhgorod direction go to the station Volovets, then by bus (except Saturday and Sunday) or by taxi. By car, take the highway Kiev-Lviv-Chop (E-50 / M-06), after the village of Nizhnie Vorota, turn towards Mezhgorye. 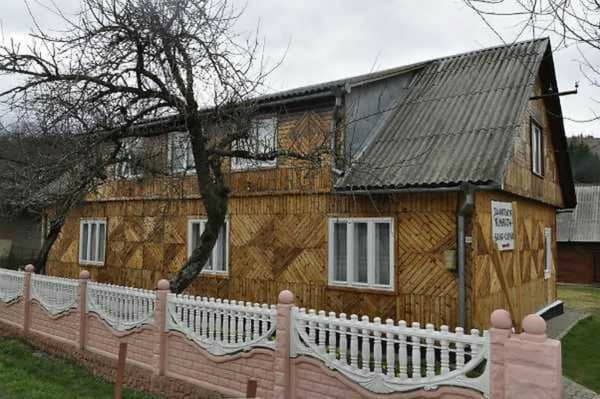 For the village of Podobovets turn left along the index with. Rostock and go 1 km. The house is to the right of the road.